documents electronically, select the link below or access the link from mhsintranet Announcements - MHS Employee Tax Documents – Self Service. The link is also available from mhsintranet/System Shortcuts/Lawson. After accessing the site, sign in using your network user name and password, and then simply follow the directions on the site. Note: If you wish to receive your 2018 W-2 electronically, be sure to register (opt in) no later than Jan. 22. Employees who have not registered by Jan. 22, 2019 will receive a paper W-2 for 2018, mailed to their home address. If you choose to not “opt in” for the electronic W-2 and require a W-2 reprint (which is in addition to the paper W-2 mailed to your home address), there will be a $10 charge. When Will Documents Be Available? It is estimated that the Methodist Health System 2018 W-2 should be available electronically by Jan. 25, but no later than Jan. 31. 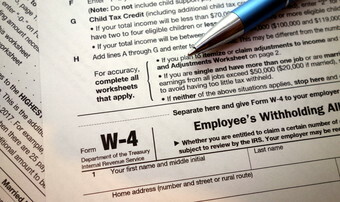 The 1095-C is not required to be attached to the 2018 tax return, with the estimated availability deadline March 4. If you opt in with MHS Tax Documents, you will be notified via email the moment each document is available. If you have issues registering, please contact the IT Service Desk at 402-354-2280.